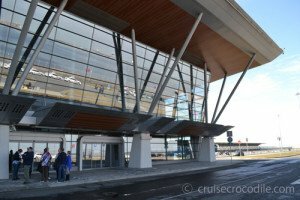 Our St. Petersburg cruise port guide gives you information about the docking location, cruise dock, transportation options and much more! 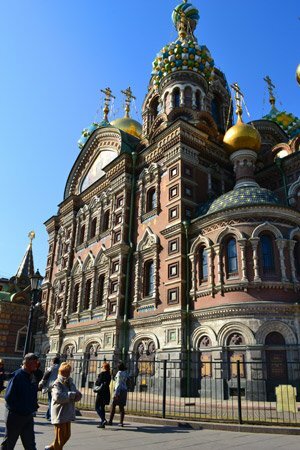 Welcome to the St. Petersburg cruise port guide. The city of St. Petersburg is a city that is on the bucket list of many. It simply is a city you have to have visited at least once in a life time. It is the former capital of the grand and glorious empire that stretches half way around the world. This city of 4,6 million inhabitants was build with the pure intention to become the “window to the west”. In 1703 Peter the Great would kick off a monumental change in history. He started building a city that would embrace western ideas and give it the oppurtunity to flow into Russia. It would take Peter the Great 18 years and countless lives to be able to do it. Up til that point in history there was no battle in time that had cost as many lives as it would to build St. Petersburg. Therefore St. Petersburg is nicknamed the city of bones. This window to Europe would within a decade became such an important city that Peter decides to change it into the capital of Russia. What Peter the Great started is something that the wife of his grandson would finish. Catherine the Great is one of the most captivating women to ever walk this earth. She plotted her way to the top of the Russian Empire and claimed the Russian throne for 34 years. Under her rule St. Petersburg would undergo a building boom unlike Russia had ever seen. St. Petersburg is a beautiful and fascinating destination and also one of the most intriguing destinations in Europe. The stories about this empire never fail to amaze anybody especially because the evidence of all this history is standing before you. St. Petersburg might just be the most interesting architectural city in the world. At the Marine Facade passenger port, where most cruise ships dock, is where you find several docking locations and all of them have an identical cruise terminal like this. 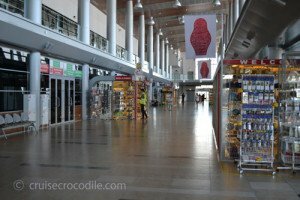 When you step into the cruise terminal of St. Petersburg you directly go through immigration and than you come into this area where the shops, atm’s and taxi information desk is at. The taxi prices are on display. Take a picture so you later know what price is reasonable. 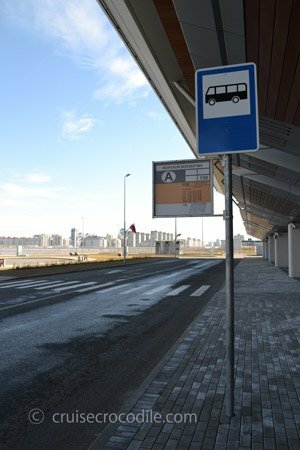 Right in front of the terminal is where you find the bus stop for the local bus 158 that can take you to the metro station. Cruise ships usually dock at the Marine Façade passenger port. Only smaller ships dock at the English Embankment. If your ship is docking here than count yourself lucky because you are right in town. It is a 2 km walk to the Hermitage museum. – Pre arrange a Russian tourist visa through the Russian embassy back home. 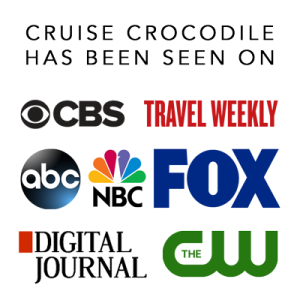 – Book a shore excursion through the ship. – Book a shore excursion through an independent tour operator. Most people will opt for a shore excursion in St. Petersburg although this is not for everyone. If you have a valid visa and you are going out by yourself please know that the best way to get into the city centre is either by taxi or by bus and metro. You can take the Hydrofoil “Peterhof express”from in front of the Winter palace / Hermitage Museum to Peterhof. They take you down the Neva river and Gulf of Finland to the famous Peterhof. They go about every 30 minutes. FAQ – Can I stay in town after my excursion? Only if you have a valid visa issued by the Russian embassy. If you do not have such a visa officially you need to return right after your excursion or else you might be fined. – What is the local currency? Russian Rubbles – Do they take US dollars in St. Petersburg? Most places do. – Can I buy a valid visa in the terminal? No. – Is St. Petersburg safe at night? It is, but be very careful. – Can I change money in the terminal? No. 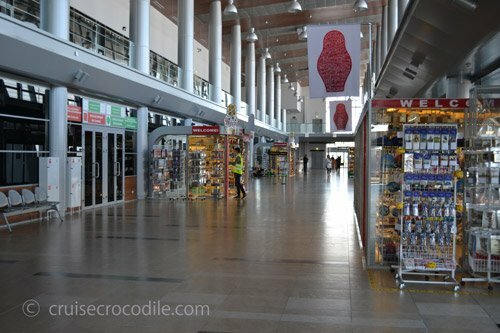 However, at the Marine Facade Passenger Terminal you’ll find ATM’s in the terminal where you can get Rubles. Most people decide to already change in Tallinn or any other port of call on the intinerary. There is a tourist information in the city centre. You can find it right next to the Winter Palace. The State Hermitage Museum is simply something you have to see on a visit to St. Petersburg. It is a collection that was started by Catherine the Great in 1764. It started with 300 pieces she received from Johann Ernst Gotzkowsky and nowadays the collection counts over 3 million pieces. That means that in 2,5 century 3 million pieces of art from all over the world have been collected and are now so proudly on display in the museum. Not to worry, not every piece is on display in the Winter Palace, but take into account you need several hours to explore the museum. There are hundreds of palaces in St. Petersburg. Since you have limited time you have to choose. Catherine’s palace and Peterhof are without doubt the most elaborate of all. Peterhof has a spectacular interior, but it is the gardens and fountains that make this one unique. From port it is 40 km south west. You can take a taxi or take the hydrofoil from the Winter Palace in the city centre. You can buy all kind of local fruit, vegetables and chocolat here, but the editors favourite would be the honey here. Honey comes from all over Russia and there are many different kinds. Go for a tasting an bring yourself some honey. See map above for its location. One of the largest cathedrals in Russia has a gigantic golden dome that can be spotted from all over the city. St. Isaac’s cathedral was originally the city’s main church that was build in the early 19th century. Make sure to go inside. It has an interesting museum about its construction and development and the interior is striking. This is the main city square of St. Petersburg and of the former Russian Empire. In the middle you will find the Alexander Column. This monument commemorates the Russian victory in the war against Napoleon. This is where most cruise ships dock when making St. Petersburg their port of call. This large cruise terminal offers great facilities to start of your day in this incredible cruise destination. There are a few requirements when it comes to your visa though. 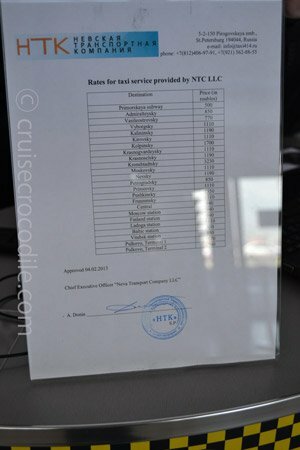 Make sure to read the full St. Petersburg cruise port guide for all the information. This is one of the most famous landmarks of St. Petersburg. When Peter the Great started to build St. Petersburg in 1703 this is the first structure he build. Thousands died in building it, but the result is still standing tall today. A golden tower watching over the city of St. Petersburg. When you visit the fort make sure to go into the cathedral as this is the burial place of many of Russians tsars. This is something you simply have to experience. St. Petersburg’s metro opened in 1955 and it is considered to be the most attractive, elegant and deepest (105 meter below ground) in the world. Almost all of the station are a complete piece of art. Some say it is the palace of the people. It is unique to experience its escalators going deep into the ground and to witness the art all around you. Take the metro from Primorskaya to Nevsky Prospekt to get from the port area to the city centre. It is one of the oldest churches in St. Petersburg and it was one of the very few cathedrals in the city that was not closed in Soviet times. Inside you will find a memorial plaque that honors the 42 sailors who lost their lives off the coast of Norway. When tsar Alexander II of Russia was assassinated at this sight his son Alexander III decided he would build something magnificent so his father would remembered. The Church on Spilled Blood was made on the donations by the Imperial family and by private individuals. The project was completed in 1907. The result is one of the most recognizable buildings in the world. The exterior is build in classic Russian style and the interior is completely covered with golden mosaics.